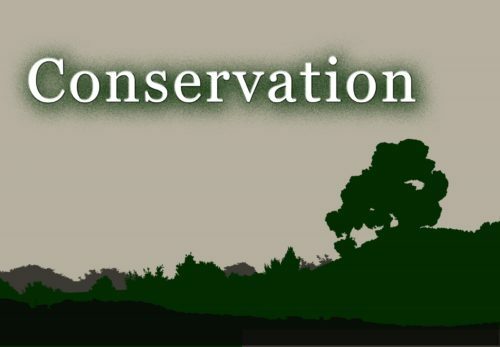 The words ‘conservation’ and ‘preservation’ may appear to mean the same thing but are actually different in some ways. These are terms commonly used by people who are trying to protect the environment, and are often confused. Although both groups have similar frameworks, tools, and methods, conservation and preservation differ in their main ideologies. Conservation is the sustainable use of natural resources. Our natural resources include wildlife, air, water, and what we get from earth. Some of our natural resources are renewable, while others, unfortunately, are not. Some examples of renewable resources are water, timber, and sunlight. Conservation of renewable natural resources means limiting their consumption to a rate slower than their replacement rate. Non-renewable natural resources – like our fossil fuels – can be conserved by maintaining a sufficient amount to be utilized by future generations. The focus of natural resources conservation is on the needs and interests of people; these needs may fall under biological, cultural, recreational, or economic. Preservation, on the other hand, means maintaining the present state of something. Preservation of natural resources is mainly focused on resources that have not been touched by humans. The main concern for preserving some resources is that mankind has been excessively utilizing them for housing, farming, industry, tourism, and other human development purposes, which has damaged their natural beauty. The philosophy behind the conservation of natural resources is that their use is a necessity for human progress and development; however, conservationists stress that changes should not be wasteful or result in the degradation of the environment. Conservation is aimed at reducing the ‘wear and tear’ of the Earth. Preservation, on the other hand, aims to keep the resources in a pristine state. Conservationists try as much as possible to manage the resources to make them more abundant and allow people to benefit from them; preservationists want to keep things as they are, in the belief that everything and everyone has the right to live, thus allowing trees, for example, to grow without being touched by humans. Often, preservation is done to environments that were already damaged. Conversely, conservation is done to prevent the damage or destruction before it causes more serious problems. Most of the time, archival institutions group conservation and preservation together. This is mainly because many conservationists also play the role of preservationist, and vice versa. Additionally, most of the ideas and methods of the two are similar. To make it more distinct and clear, the difference between conservation and preservation is that the former is aimed at repairing the damage, while the latter seeks to prevent it from occurring in the first place. Conservation promotes the wise utilization of resources and allows their use in a manner that ensures their continued availability. Preservation, on the other hand, discourages the use of resources in order to maintain their present state; in other words, preservation does not allow the usage of some resources. 1. Conservation and preservation have similar frameworks, tools, and methods. 2. Conservation is geared toward repairing the damage. Conservationists believe that natural resources should be used in a sustainable manner that will allow for their use by future generations. 3. Preservation prevents the damage of resources by not allowing humans to interfere with them; preservationists seek to maintain the current condition of natural resources. Celine. "Difference Between Conservation and Preservation." DifferenceBetween.net. June 7, 2017 < http://www.differencebetween.net/science/nature/difference-between-conservation-and-preservation/ >. and business interests, etc. A conserved area, is exactly a long term zone exclusive to environmentalism. and inventory, so as to prevent spoilage by weather, and insects etc, and they intend to use those things, for their advantage etc. and inventory, so as to prevent spoilage by weather, animals and insects etc, and they intend to use those things, for their advantage etc. It simply means they use a way of inventory to prevent a disfavourable scientific event from occuring to their goods, such as use of airtight containers to contain foodstuff or liquids against the invasion of air, ants, etc. snow, wind. I really pleased to find this site on bing, just what I was looking for 😀 besides saved to fav. Am really satisfied with this site. thankyou for this information i just like to know these informations.